24 Dec 2018: Trump overstepping his authority? On several occasions during 2018, the single currency has suffered from being a “makeweight” in the dollar index, to which it contributes a weighting of 57.6%, as the greenback has surged ahead following solid economic growth and a continued tightening of monetary policy. 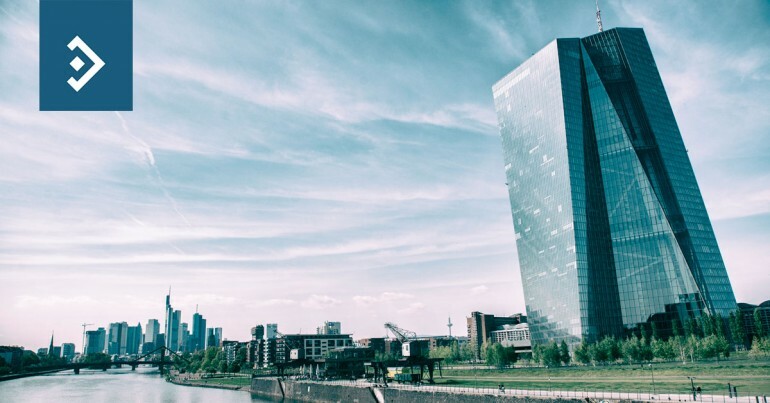 However, as the FOMC appears to have decided to pause, if not stop altogether, the rate hike cycle, there is evidence that despite the economic woes facing the Eurozone and a lowering of inflation forecasts, the determination of the ECB to provide conditions which aid growth and provide stability may prevail. The apparent end to the standoff between Rome and Brussels is also positive for the single currency particularly since both sides can claim some sort of victory from the outcome. The Italian coalition can say that the cut in the budget deficit from 2.4% to 2.1% means that they have broken the cycle of EU dominance over its domestic policies, while Brussels can claim that they have moved “in the right direction” for future discussion. It remains to be seen when the next “blow up” will occur given the Eurosceptic mood of the coalition. The euro rose to a high of 1.1486 yesterday but faces significant selling interest between 1.1480 and 1.1520. It drifted lower later in the day to close at 1.1460. 2018 has been a year in which the Bank of England has struggled with its credibility as Governor Mark Carney has seemed “late to the party” with several of his comments on Brexit. Carney has agreed to extend his contract to assist in the implementation of whatever deal is agreed (or not), but he appears to have failed to realize that the Bank will have its hands full staving off a recession almost no matter what the end of Britain’s relationship with the EU brings. The hike from August, which followed the first hike in ten years that took place in November 2017, will probably have to be reversed. There has been an element of good fortune as petrol prices have fallen considerably during Q4 which has seen inflation fall to its lowest level since March last year. Carney has been criticised, particularly by the “Brexit wing” of the Government for not standing up to the Chancellor and almost contributing to the mess the politicians have created. While that is a little unfair since there is little more that could have been done without a positive set of guidelines, the Governor himself seemingly favours remaining within the EU. With Parliament now in recess, the furor over Brexit should die down for a couple of weeks while both sides consider their positions. It is ironic that for the first time in a generation, it seems that both sides appear to come from a single Party. The pound, lacking any real influences after the Bank of England voted 9-0 to leave rates unchanged, rallied to 1.2706, but fell back to close at 1.2665. It continues to suffer versus the euro, as it looks likely to test the significant 1.1000 level but that may have to wait until the new year as the market slows down for the Holiday Season. There is no doubt that President Trump will be congratulating himself for his ability to bend the Federal Reserve to his will by getting it to slow its rate hike cycle. In truth, his insults of the Chairman and members of the FOMC have not been a factor in their decision-making process and their pause in hiking rates has more to do with economic reality than Presidential bluster. The diminishing effect of the fiscal stimulus and the lagged effect of four rate hikes in 2018 brought a pause to an eminently sensible policy while the economy adjusts to higher rates. The Dow Jones Index took another beating yesterday reaching a low of 22,644 and has now fallen by close to 12.5% this month! With the pause in rate hikes and the continued speculation over a trade war with China, the outlook for the first quarter of 2019 for the dollar is uncertain. Last month’s employment report was weak with just 155k new jobs (well below the 6-month average) being created and wage inflation seemingly stalling at 3.1%. A great deal of emphasis will be placed upon the next report which will be released on January 4th, with the market barely back from the Holidays. Yesterday, the dollar index fell to 96.17, reacting as much as anything to a bout of euro strength, closing at 96.45.